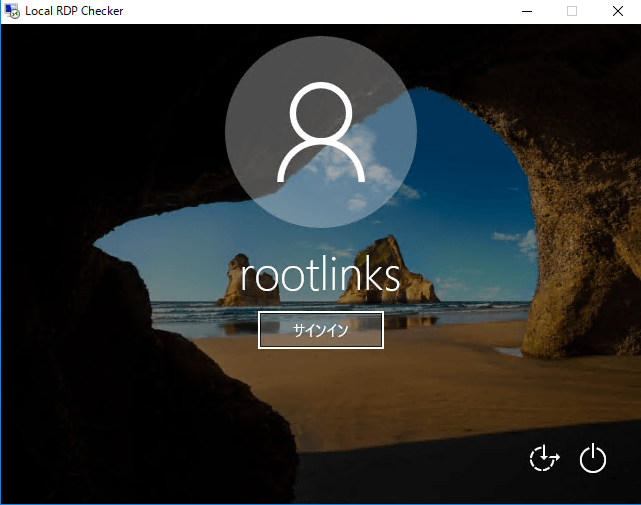 Windows 10 Homeにリモートデスクトップ接続 ← RootLinks Co., Ltd.
RDP Wrapper Library v1.6 Installer v2.3 Copyright (C) Stas'M Corp. 2016 [*] Notice to user: - By using all or any portion of this software, you are agreeing to be bound by all the terms and conditions of the license agreement. 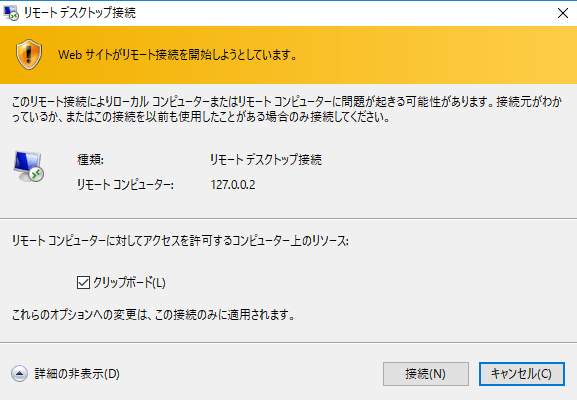 - To read the license agreement, run the installer with -l parameter. 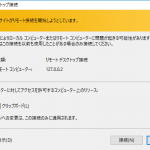 - If you do not agree to any terms of the license agreement, do not use the software. 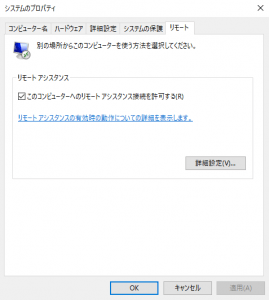 [*] Installing... [*] Terminal Services version: 10.0.14393.0 [+] This version of Terminal Services is fully supported. [*] Configuring TermService... [*] Starting TermService... [+] TermService found (pid 1060). 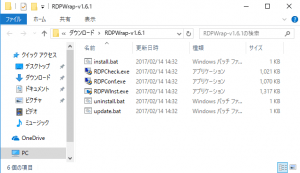 [*] Shared services found: CryptSvc, Dnscache, LanmanWorkstation, NlaSvc [*] Extracting files... [+] Folder created: C:\Program Files\RDP Wrapper\ [*] Downloading latest INI file... [+] Latest INI file -> C:\Program Files\RDP Wrapper\rdpwrap.ini [+] Extracted rdpw64 -> C:\Program Files\RDP Wrapper\rdpwrap.dll [*] Configuring service library... [*] Checking dependencies... [*] Checking CertPropSvc... [*] Checking SessionEnv... [*] Terminating service... [*] Starting CryptSvc... [*] Starting Dnscache... [-] StartService error (code 1056). [*] Starting LanmanWorkstation... [*] Starting NlaSvc... [-] StartService error (code 1056). 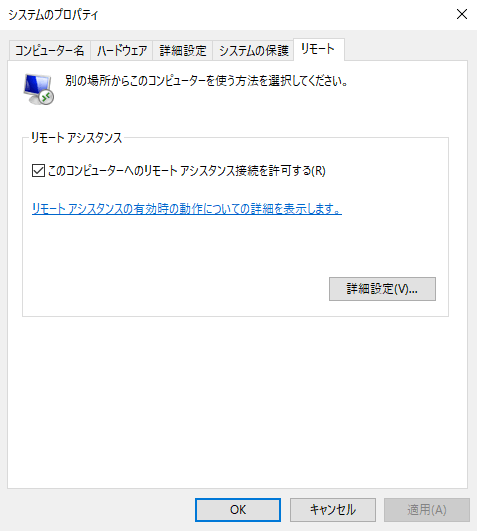 [*] Starting TermService... [*] Configuring registry... [*] Configuring firewall... OK [+] Successfully installed. 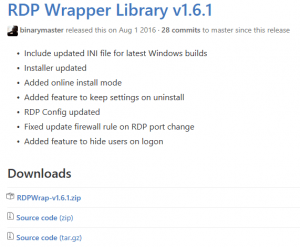 ______________________________________________________________ You can check RDP functionality with RDPCheck program. 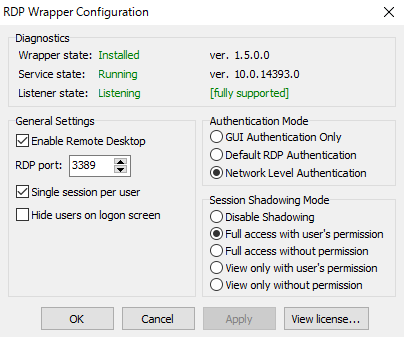 Also you can configure advanced settings with RDPConf program. 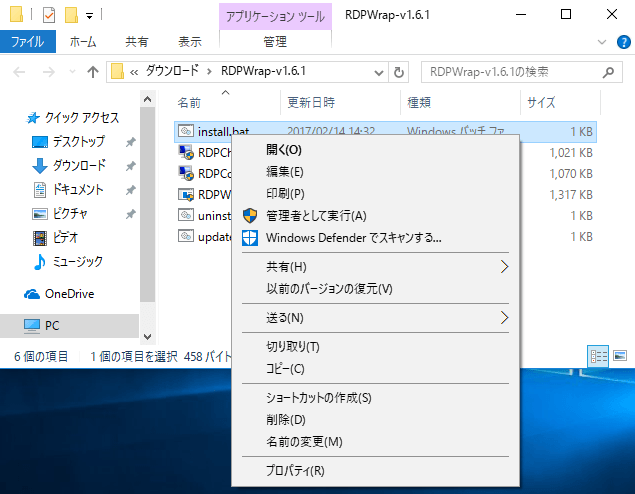 続行するには何かキーを押してください . . .
to be bound by all the terms and conditions of the license agreement. - To read the license agreement, run the installer with -l parameter. 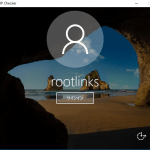 [+] This version of Terminal Services is fully supported. [+] TermService found (pid 1060). [-] StartService error (code 1056). 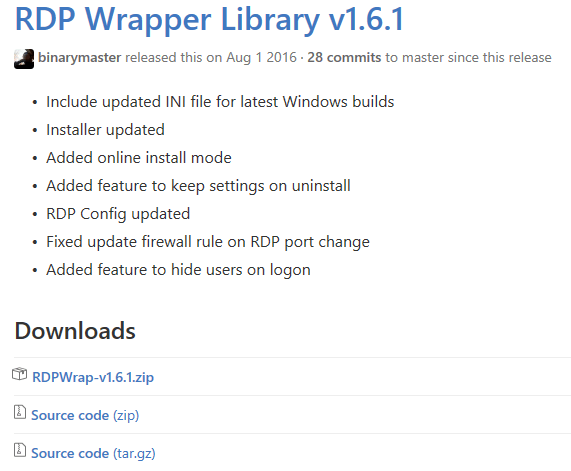 RDP Wrapper Library v1.6 Installer v2.3 Copyright (C) Stas'M Corp. 2016 [*] Checking for updates... [*] Current update date: 2017.02.03 [*] Latest update date: 2017.02.03 [*] Everything is up to date. 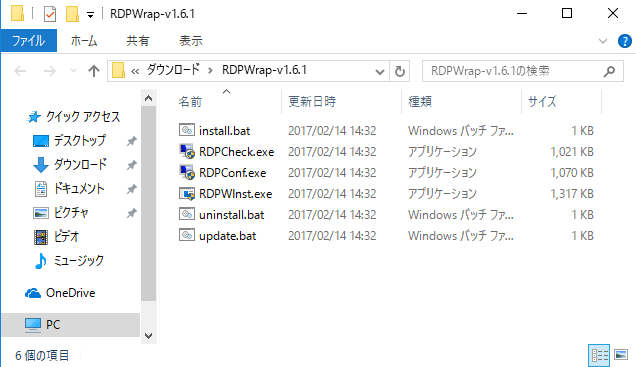 続行するには何かキーを押してください . . .
[*] Everything is up to date.